Gladesville Medical is now Open on Saturdays! Posted by Therese Pham 03/01/2015 Comments Off on Gladesville Medical is now Open on Saturdays! 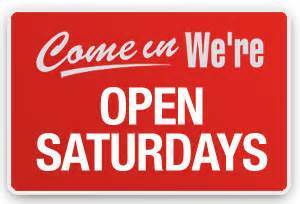 Due to popular demand and in response to requests from our working patients, we will open on Saturdays in 2015. Dr Therese Pham will be working on Saturdays from 8:30 am – 12:30 pm to assist with any medical problem. Please use our online appointment system or ring reception on 9817 2522 to make an appointment! Please note discounted private fees apply for health care card holders and pensioners on Saturdays. Gladesville Medical is temporarily closed on Saturdays.